Rosenfeld Injury Lawyers LLC assists injured motorcyclists. They ride without a lot of protections. Due to this, many suffer traumatic and painful injuries. Back and neck injuries are just one example of that unfortunate fact. We want to discuss some matters involved in crashes and injuries. Remember, though, the facts of your case matter more than the examples. If you hurt your neck or back while riding a motorcycle, contact us now. We can protect your case. We have helped others similarly. We will help you too! Chicago Motorcycle Accident Lawyers With a Proven Record! Motorcycle accidents are a common occurrence on Illinois roadways. They happen much more other types of vehicle crashes. The back and neck are vulnerable during bike accidents The spinal cord is especially vulnerable. 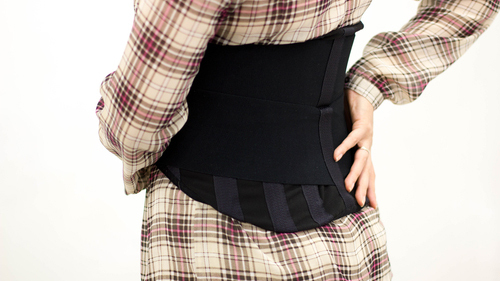 Unlike other areas, it does not have much protection such as bones or fat. Plus, there is a lot that can be damaged within the back and neck. This of muscles, tendons, vertebrae, and other body parts. They can all get hurt if your bike wipes out! Motorcycles crash into other vehicles more than wiping out themselves. Why do they crash? Normally, crashes come from weather, road, or other problems. Bikers dart out without looking. Other drivers don't see them and run right into them. Plus, night time makes it hard to see them anyways. Thus, motorcycles get hit, pinched, and thrown from their bikes. All of this comes with great injury to the back and neck! There are infinite ways that you can hurt your back or neck in a motorcycle accident. Some ways are more common than others. Here are some of the most frequent varieties. Whiplash. Whiplash is when you strain or sprain your neck. It is more of a collection of symptoms and can mean more than one injury. If you sustain whiplash, ligaments, tendons, joints, roots, muscles, or bones may be affected. Typically, it is caused by a fast start and stop motion. It is evidenced by headaches, pain in the neck, stiffness in the area. Dizziness, tiredness, and other conditions might result too. Symptoms of whiplash might not be apparent for a day or more. Herniated Disk. Motorcyclists get problems with the disks between their vertebra. These are labeled herniated disks. It can either tear or stick out of two or more vertebrae. They might cause pain, weakness, and numbness. There may also be no symptoms at all. Thus, some people may not need to do anything at all to correct it. On the other hand, herniated disks can completely handicap you. They can make you incapable of daily tasks and enjoyment. If so, you will need surgery and rehab for a long time. Soft Tissue Damage. Muscles, tendons, ligaments, and similar body parts are "soft" areas. They are remarkably vulnerable in motorcycle accidents. The soft areas in the back and neck are no exception. They might experience strains, sprains, or bruises. Due to their concealed nature, they might be hard to spot. They should be reviewed carefully by a doctor. However, that does not mean they do not hurt. They can cause great pain. Thus, they should be examined and treated seriously. You might experience a different kind of neck or back injury. Illinois motorcycle accidents create many harms. These are some of the most common ones though. We have seen a lot representing motorcycle accident victims. To understand the complete nature of your harms, speak with your personal doctors. Then, call us to see what you can recover in Illinois! As we mentioned in the previous section, there are a myriad of kinds of back and neck injuries which may occur in a motorcycle accident. Therefore, there is no definitive answer for what your treatment will look like if you're involved in a similar event. Plus, you will want to work on a plan of care with your doctors so they can take into consideration your personal health history. Yet, there are some common techniques used to treat frequent back and neck injuries. For instance, patients with whiplash normally use a collar to immobilize the area and allow for healing. They also might use prescription medications, heat therapy, muscle relaxers, or physical therapy. This should normally relieve all symptoms within a few weeks. If it does not, you should consult with your physician. Patients with herniated disks normally first employ a series of pain management solutions in order to prevent surgery. These normally include medications, physical therapy, and similar options. If these do not work, doctors might recommend a course of surgery to correct the bulging or torn disk. Symptoms of herniated disks can take weeks or even many months to completely address because of the seriousness of this injury. With soft tissue injuries in your back or neck, the key is to increase circulation and extension. You can use ice or heat to accomplish this and normally a combination of both is the most effective. The initial swelling should subside within a few days after the motorcycle accident. If the symptoms persist, see a doctor to devise a long-term plan of care. Nearly 4 out of 5 people injure their back/neck as adults. 1 million people injure their back/neck every year. Pain in the lower back is the most common disability in the US. Tens of billions of dollars is spent every year treating back/neck injuries and on rehab. Neck accidents are the most common insurance claim companies for these accidents. Motorcycle accidents are a leading cause of herniated disks and other back/neck injuries in the US like whiplash. Helmets can dramatically lower the risk of serious neck injury. Almost 10% of motorcyclists suffer a spinal injury. The thoracic spinal region is the most injured spinal part during a motorcycle accident. A lot of families and accident victims want to know what their claims will be worth in court and, if successful, it should come as no great surprise to you. Basically, you add up all of the economic damages (think costs) that the motorcycle accident created. Here is a list of common economic damages. Present and future medical bills. Then, you see if you also suffered intangibly from the accident. For instance, did you sustain long-term pain and suffering? Did you receive scarring or disfigurement? Did you have a change in life circumstances for the worse? Did you lose self-esteem due to the crash? All of these things are worth something in court. But how much? Generally, they're worth at least two to three times whatever your economic damages were but can be worth as much as five to ten times whatever your economic damages were. With neck and back injuries from motorcycle accidents, it is not uncommon to have sizeable non-economic losses so the higher end for this category of compensation may be likely. To figure out exactly what your claims for neck or back pains from a motorcycle crash will be, speak with our knowledgeable group of lawyers. Since back and neck injuries are so costly, especially those arising out of motorcycle accidents, defendants are quick to contest their validity. Generally, they use one of two lines of attack. First, they claim it wasn't their fault. They might say it was your fault or someone else's but it definitely wasn't theirs. Next, they'll likely contest the amount of damages you claim. Typically, they'll disagree with your contentions of pain and suffering or the amount of long-term medical care you will require. Defendants in these situations will probably use these lines of attack as well as others in refuting your back and neck injury claims from a motorcycle crash so it's important to have comebacks ready to dismiss them! Now, we want to show you what some jury awards and settlement amounts look like in Illinois motorcycle accident cases with back and neck injuries. They might help you understand what you could recover in court if you suffered a similar harm. The motorcyclist here, Mr. Ross, was driving down Lake Shore Drive near downtown Chicago a little bit after midnight. Unknown to him, there was a cop car watching traffic in a hidden location in the vicinity. Without signaling or using his lights, the cop turned into traffic and collided with Ross. The incident left Ross with extraordinary neck and head injuries. Not soon after he decided to sue the cop and the police department. He claimed the cop negligently turned into traffic and failed to avoid the crash; additionally, the suit alleged that the department failed to adequately supervise and monitor its employees. Both defendants shot back that Ross was driving too fast, should have kept better watch of the road, and was the real culprit in the accident. The jury found for the plaintiff in the amount of $3,317,000 for damages related to medical bills, pain and suffering, and disfigurement. However, the jury also found that Ross was 10% responsible for the incident; thus, his recovery was lowered by the same amount. Peter Chilton was riding his motorcycle around a town in northern Illinois when a car from behind clipped him, causing him to fall forward and injure his back and neck. He sued the driver, Joshua Uhlir, for negligence and sought damages for his medical bills and associated injuries. Uhlir agreed that he was negligent but denied that he caused Chilton's injuries. The jury did not buy this paradox and returned a $53,000 verdict for the plaintiff. The plaintiff in this case, Ivan Lally, was driving his motorcycle down the highway when a tractor-trailer rear-ended him. The force of the crash sent him flying nearly a hundred feet down the road and gave him serious neck and other injuries. Lally claimed that he needed to pay hundreds of thousands of dollars to medically repair these injuries and sought over $1 million at trial from the other driver. In response, the defendant claimed that most of the plaintiff's harms came from injuries he received while working as a cop the year before the incident. Also, he claimed the plaintiff was contributorily negligent by swerving into his lane right before the crash such that the defendant could not avoid the incident. The strong arguments offered by the defense might explain why jury only returned a verdict of $35,000 in the face of the plaintiff's large demand and steep medical bills following the crash. Steven Reed was riding his motorcycle down a quiet road in southern Illinois when a cab changed lanes right in front of him. He was left hardily any time to slow down and he collided with the cab suffering extensive injuries to the neck, back, and pelvis. He sued the cab driver as well as the cab company but only the former was still remaining at trial. He argued in court that the defendant should have signaled his turn, changed lanes at a slower speed and checked before turning, among other things. For his part, the defendant retorted that Reed was driving too fast and should have kept a better lookout to avoid the crash. In typical fashion, the jury gave a sizeable verdict to the plaintiff but almost half of the responsibility as well and that cut the award by nearly 50%. In this way, juries typically seem to compromise. Contact us if you were in a motorcycle crash. Call us even if someone you know was in a motorcycle crash. Rosenfeld Injury Lawyers LLC can come in immediately and protect your rights. You can recover under the laws of Illinois. We will set up a free consultation. This will ensure that you understand your rights. Then, we can map out a strategy that seeks every dollar owed to you. Plus, we work on contingency so that you don't pay anything upfront. If we don't win, you don't pay! Call us now to learn more! Learn about other injuries sustained in Illinois motorcycle accidents. Please read the following pages.